No one likes to have to call a plumber, but when you do, Zenco is the right choice! We run our plumbing company with that personal touch others have forgotten. We understand your concerns and your budget. Our owner, Cy Clouthier, built this company on the idea that “If you treat people right, good things will happen”. Good old fashioned customer service by a Licensed Plumber is the best choice when it comes to your home. From hot water heaters, complete new builds, to a leaky faucet, Zenco will get the job done the right way every time. In fact we guarantee it! We offer up-front pricing - no surprise charges! We've been serving Lenawee County for 35 years - put our knowledge and experience to work for you! Our technicians are all fully certified, licensed and insured and we stand behind all our work with a 1 year warranty. 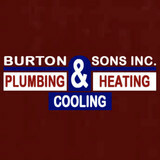 Excellence has been our hallmark since 1979 Burton & Sons Inc. is a customer focused Plumbing Heating and Air-conditioning company that was originally started in 1979. Located in Garden City, MI, we employ highly trained people whose goal is to make our company the best service company in Metropolitan Detroit Area. Our company specializes in designing, engineering, and installing complete comfort systems for owners of existing homes and buildings just like yours. We take special pride in the craftsmen we train and employ--a fact you'll notice immediately in the attitude and integrity they bring to your job site. Our entire company works hard to make your experience with us hassle-free and enjoyable. Should we make a mistake, we will do everything in our power to correct it to your satisfaction. 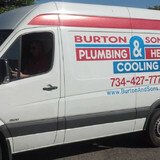 Excellence has been our hallmark since 1979 Burton & Sons Inc. is a customer focused Plumbing Heating and Air-conditioning company that was originally started in 1979. Located in Garden City, MI, we employ highly trained people whose goal is to make our company the best service company in Metropolitan Detroit Area. Our company specializes in designing, engineering, and installing complete comfort systems for owners of existing homes and buildings just like yours. We take special pride in the craftsmen we train and employ--a fact you'll notice immediately in the attitude and integrity they bring to your job site. Our entire company works hard to make your experience with us hassle-free and enjoyable. Should we make a mistake, we will do everything in our power to correct it to your satisfaction. From the professionalism of our sales engineers, to the dedication of our field personnel, we are dedicated to delivering you the best. We take our responsibility very seriously when you place your trust in us. We pledge to always tell you up front what your cost will be to complete your job correctly. We make it a point to go over any details or limitations of the proposed system that will affect your enjoyment of the end result. You are told exactly what to expect up front. We back this philosophy with our exclusive written guarantee when choosing Burton & Sons Inc. to contract your job: “If at any time during the first year of installation, you are not 100% satisfied with the performance of the equipment, our service or even our people, we will, within 30 days of your request, remove the system and cheerfully refund the entire amount of the contract.” Compare our guarantee with the limitations, fine print and exclusions other companies tend to use to back their work today. Others will typically guarantee only the functionality of the equipment--not your satisfaction with the process or that the finished job lives up to your expectations. This is why Burton & Sons Inc. continues growing with more satisfied customers each and every year. Give us a call for your service needs and see what you've been missing. The employees, management & stockholders of Burton & Sons Inc. If seeing is believing, check out our state of the art showroom – complete with 25 running showers, steam rooms & HVAC systems. Bring your plans or let our team help you design. We believe expert plumbing doesn't have to drain your wallet. At Sinks to Sewers we've been offering top-notch service at affordable prices for over 28 years. 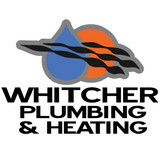 We are a local, family-owned business providing comprehensive plumbing services to Washtenaw County. Sinks to Sewers can take care of a wide range of plumbing services from kitchens to restrooms, laundry rooms, and basements--we've got you covered! Horton Plumbing has provided superior plumbing service to both commercial and residential customers since 1988. With a fleet of trained, licensed plumbers standing by 24 hours a day, seven days a week, we have the manpower and expertise to provide immediate service for plumbing emergencies, as well as standard and complex residential or commercial plumbing projects. We sell and service all reputable brands of plumbing components and offer extended warranties and maintenance contracts on all our products, and our commitment to leaving your home or business job site spotless means you never have to worry about messy clean-up. Call 734-455-3332 today for faucet installation and repair, clogged toilet, sink or drain problems, septic tank camera scope or repair, and much more. Fowler Plumbing is family owned and operated serving Tecumseh, Windsor and Essex County since 1983. Aaron Swift Plumbing and Sewer Service, Inc. has been a family operated business since 1966. A commitment to quality and professional service has been our number one objective from the beginning. We provide residential, commercial and industrial work, including rough finish plumbing and installation and repair of water and sewer lines. We use our own equipment, preferring not to subcontract to others. Aaron Swift Plumbing is fully licensed, bonded and insured and will forward the proper documents to you on request. Are you dealing with a burst pipe and need emergency plumbing service right away? Does your water leave a bad taste in your mouth? Has your garbage disposal stopped working altogether? Whatever your plumbing problems may be, Family Plumbing in South Lyon, MI is here to help. We can provide a huge range of repair and installation services, and we’re available 24/7 for emergency situations. No matter if your building is a residence or a commercial office structure, we’ll be over right away to solve the issue. Our highly experienced plumbers bring decades of professionalism to the work that they do so that you can feel confident knowing that your plumbing is in good hands with us. What does a plumber do? A plumbing contractor handles the installation and repair of water, sewage and natural gas pipes throughout a home, as well as interior and exterior faucets and fixtures. Plumbing contractors are also trained to work with water mains, septic tanks, laundry appliances, water heaters, sump pumps and other plumbing and pipe systems. Because plumbing repair work is done largely behind walls and beneath floors, some plumbing companies can also patch or replace tile, stonework and other surfaces. Although some Ann Arbor plumbers are generalists, others specialize in specific areas; a 24 hour emergency plumber will handle urgent residential repairs, while others may be more skilled in remodeling, natural gas lines, overhead sprinkler systems and more. How long have you been in the plumbing business? 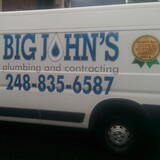 What do your plumbing services include? Who will make repairs to any structural damage that results from the job? What happens when cost exceeds the budget? What about changes to materials or labor pricing? Find a local Ann Arbor plumber on Houzz. Narrow your search in the Professionals section of the website to plumbing contractors in Ann Arbor, MI. You may also look through photos of Ann Arbor, MI projects to find a licensed plumber who has worked on a project similar to yours. Here are some related professionals and vendors to complement the work of plumbers: General Contractors, Septic Tanks & Systems, Kitchen & Bath Designers, Kitchen & Bath Remodelers.